This feature will have top posts I have released on my Facebook Page from the week so that people that missed some deals will still be able to see them on my blog and people that are not subscribed to my facebook page that are out in Cyber Space will have the opportunity to find out why they should be subscribed to my blog and FB 🙂 This will be released each Wednesday. Enjoy!! 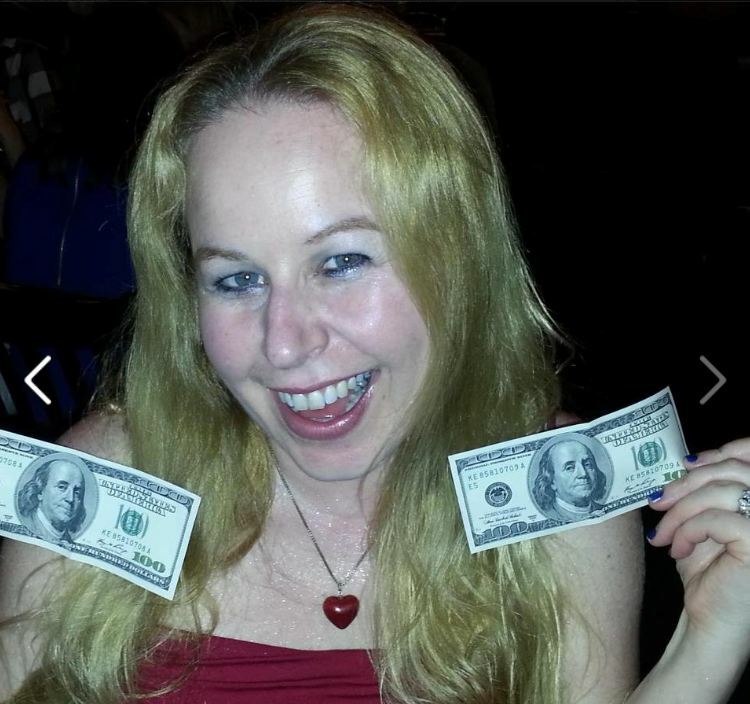 This week I have 8 of them, but I plan for this to vary regularly. 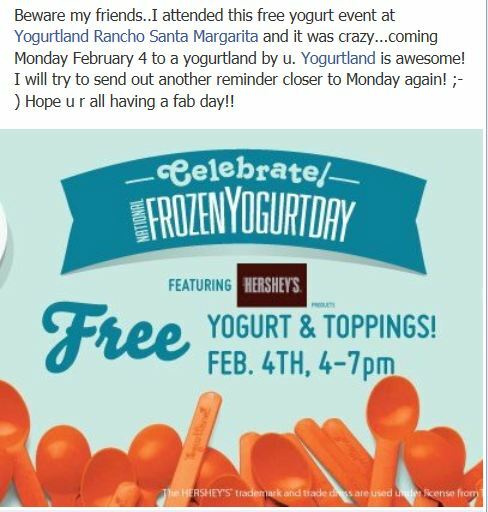 This deal is an awesome one coming up this Monday, February 4th from 4-7 pm at Yogurtland to celebrate National Frozen Yogurt Day…FREE Yogurt & Toppings! 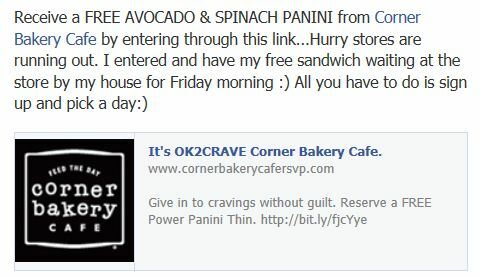 Corner Bakery is offering a free Spinach & Avocado Panini Simply for signing up through this link! All you have to do is sign up and pick a date to go and a time frame and location! I cannot wait to get mine this Friday, February 1. 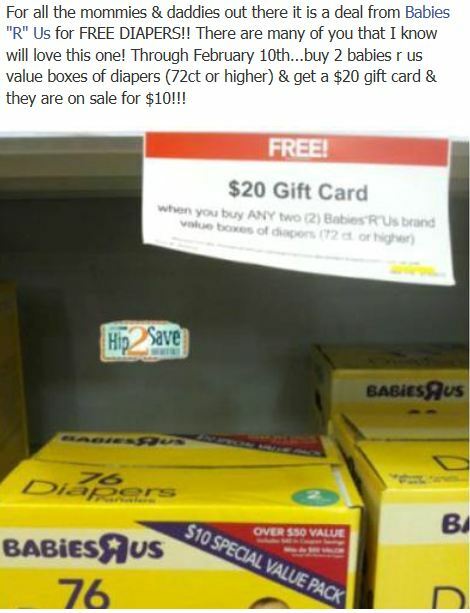 FREE diapers from Babies R’ Us!! All you have to do is buy 2 packages of 72 count or more diapers (some are rumored to be on sale for $10) and you get a $20 gift Card Back!! Awesomeness!! 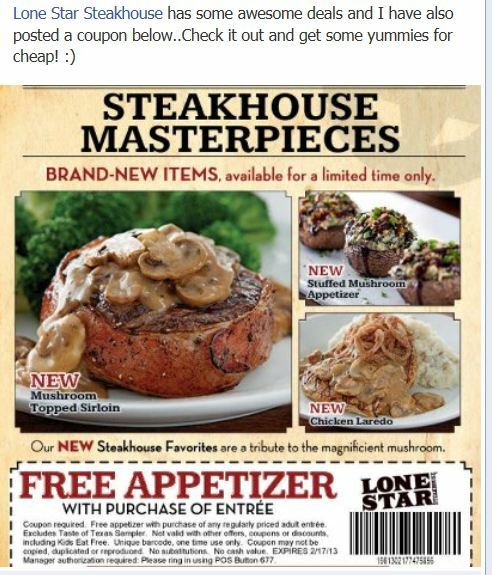 Get a FREE appetizer with purchase of an entrée at Lone Star Steakhouse through February 17th with coupon below. 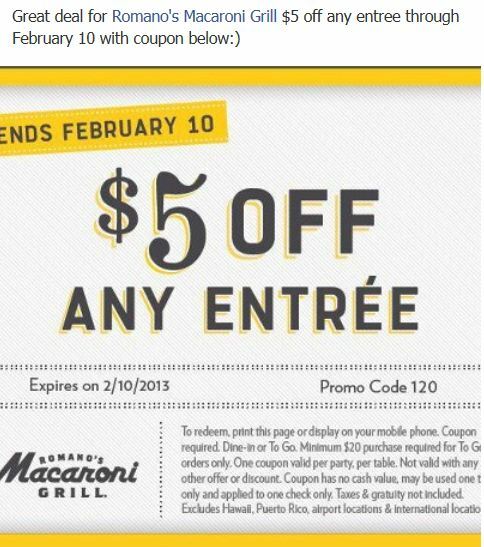 Macaroni Grill is offering $5 off of any entrée with coupon below through February 10th. Print or display on mobile phone. 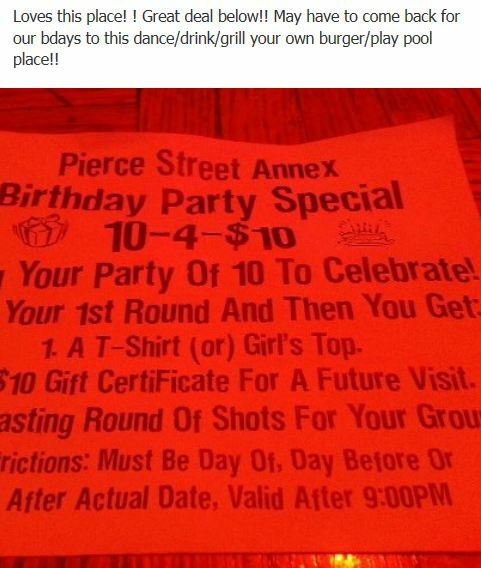 Pierce Street Annex…a Drinking Establishment/dance bar/grill a burger on the patio/play pool (super fun place)..see my blog post here for more details is offering an ongoing birthday special for a party of 10 peeps for $10..Check it out on picture below. 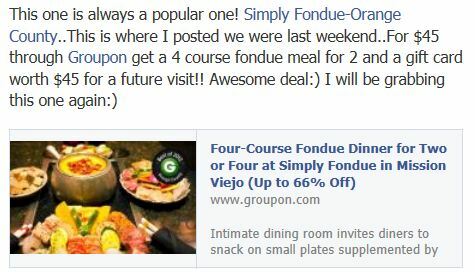 Simply Fondue in Mission Viejo (now closed down) has a deal made possible through Groupon where you pay $45 and you get a 4 course meal for 2 and a future $45 dining gift certificate..Soon to run out…Get yours now at Groupon! 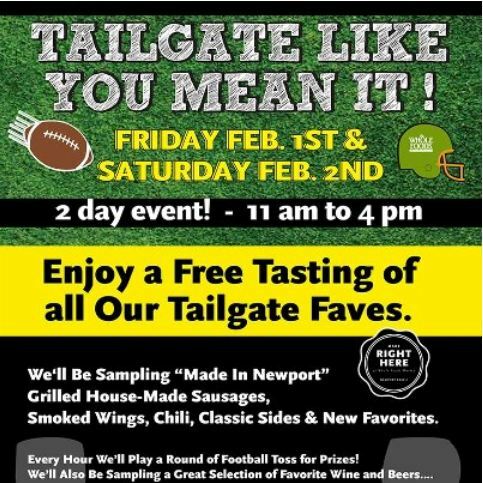 Whole Foods Newport Beach is offering some Freebies this February 1 & 2 from 11am-4pm. Free samples of different foods, wines and beers…details below on picture. Previous Previous post: Total Wine and More Ipad Application for Food and Wine Pairings on Itunes! !